What’s the point of going on vacation if you aren’t looking to experience something new? If you’re in the market for a memorable vacation, we’ve got a few suggestions for you. Orlando is an incredible city within the culturally interesting state of Florida. CuddlyNest can set you up with the best vacation rentals in Orlando. Browse through our discount rentals and decide which is the best option for you. Once you’re settled in, we’ve found five different attractions that may pique your interest if you’re looking to have a truly unique vacation experience. There’s something especially Floridian about an amusement park focusing exclusively on alligators. The state is something of a joke in how it’s filled with bizarre crimes and dangerous animals, and the theme park Gatorland has totally embraced the latter stereotype. 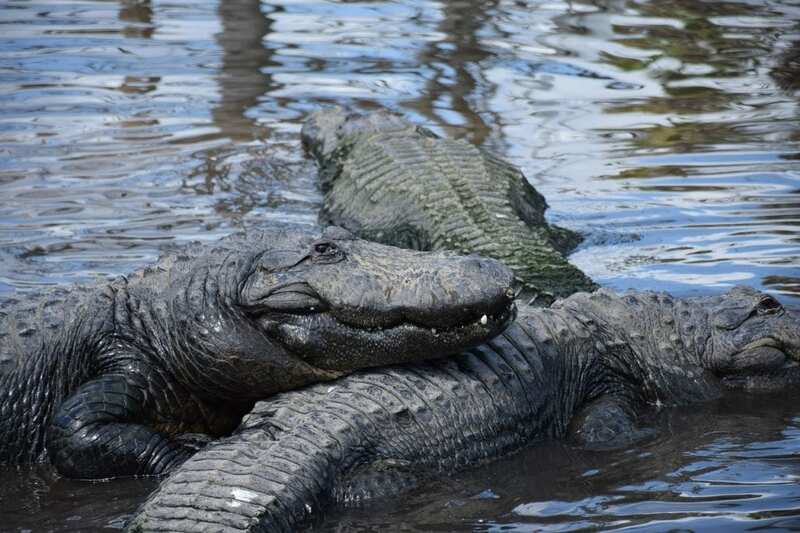 Upon arriving at Gatorland through the park’s alligator mouth-shaped entrance, park goers can view alligators in their natural habitat, travel on the Screaming’ Gator Zipline or even watch an alligator wrestling session — when the sport is in season, of course. If all else fails, at least you’ll be able to pet a baby alligator. Famous for being a building built upside down, Wonderworks is touted as an “amusement park for the mind.” Half-amusement park, half-museum, this strange place focuses on interactive and engaging exhibits that are meant to spark critical and creative thinking skills. Curious about the types of exhibits? Examples include lying on a bed of 3500 nails, climbing into a replica space capsule and experiencing 71 MPH hurricane winds. Not too keen on vacationing in Orlando? Wonderworks has since built other locations in other major cities, though the Orlando location is the original. You can still visit Wonderworks if you happen to book a CuddlyNest vacation rental in Syracuse, New York or Myrtle Beach, South Carolina. No vacation is complete without a few souvenirs. Why not bring something back home that you truly couldn’t get anywhere but Orlando? When you first enter Carmine Oddities Boutique, you’re likely to be greeted by a taxidermy goat in period clothing, sitting cross-legged on the floor. This is a common theme within the small North Orlando boutique. If you aren’t looking to take home something this bizarre, feel free to look through their collection of weird antiques, fake eyes, medical oddities and unsettling furniture. Even if you don’t buy anything at Carmine, it’s definitely worth looking around. Fans of weird online stories and ghostly tales will find something interesting in River Country. Once part of Disney World as its first waterpark attraction, River Country is now completely abandoned and decrepit. There are actually groups of people who make a hobby of exploring abandoned amusement parks, and River Country is one of the most well known. The park is very dilapidated and rotting, and the land boundaries have begun to blur with local swamps. Disney isn’t happy when tourists try to sneak in, but even driving around the outskirts is something to see. Do you live in Orlando or have you been before? Tell us about other off the beaten path destinations in this amazing city!